The Bhutanese Leading the way. 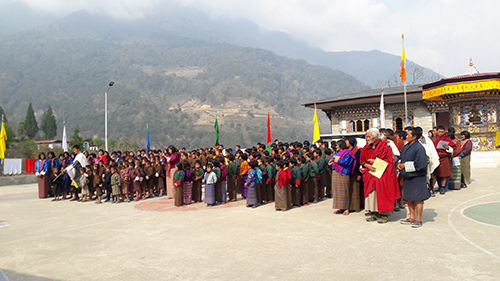 Perched centrally between Jarey and Maedtsho gewogs, Zangkhar Primary School in Lhuentse has been distinguished in the 90s despite its remoteness for having excelled remarkably in academics amongst all the schools in the country. It is the second school established in 1962 after Lhuentse Primary School in the dzongkhag. Today, the school also takes pride and is well known among the locals and outsiders alike for producing notable alumni—the likes of which include the former chairperson of National Council, Dasho (Dr.) Sonam Kinga, the incumbent Member of Parliament, National Council, Tempa Dorji, the incumbent member of parliament, National Assembly (Maenbi Tsaenkhar), Choki Gyeltshen, the former minister of agriculture, Yeshey Dorji, the president of Agency for Promotion of Indigenous Crafts (APIC), Lam Kezang Chhoephel among many others in respected professions. The alumni, however, will find it impressively difficult to fancy the transformation the school has gone through in less than a decade under the leadership of Principal Chhimi Rinzin and his team— the school has earned the right to be labeled a model education center located in a rural part of Bhutan that is striving to lay a strong footing for the future generation. Without limiting the school’s developmental progress on the yearly budget allocation and succumbing to stagnancy, Principal Chhimi Rinzin is well known among the parents and local leaders for transforming the school to where it stands today by lobbying and seeking funds around. With a total strength of 135 students in the school, Chhimi Rinzin not only strives to connect and nurture the young minds but he also makes it a point to promote community vitality by engaging the parents of two gewogs to partner with the school in various activities. The school has been conferred the ‘best school farm award’ for three consecutive years for the School Agriculture Program (SAP) and also secured first in the ‘best school farm competition’ in the model school category after competing at the national level. The school also received a certificate of commendation from the Ministry of Education for being one of the top ten schools in overall performance for the year 2016 at the primary level. 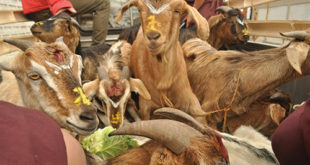 Due to the extra emphasis on School Agriculture Program, the school is currently 90 percent self-sufficient in providing meals to its students, said Chhimi Dorji. Unlike some of the schools in the country, the students are not required to carry out manual works in the school agricultural field exception of light chores. For this, the school seeks timely support from the parents in maintaining the fields and the principal said that the parents have been cooperative so far. Tshering Choden, 14, studying in sixth grade affirmed that most of the works in the fields are carried out by the support staffs and the parents, while they are encouraged to read and study smart. Zangkhar Primary School has also seen a gradual increase in the enrollment of students over the years. Chhimi Rinzin, who is also an alumnus of the Royal Institute of Governance and Strategic Studies (RIGSS) said that drawing inspiration from the month-long training session at the institute, he is further motivated to build a strong school alumni network by hosting all the alumni for three days by planning various activities for meaningful engagement. Jarey Gup, Kinzang Minjur said that it is convenient for the local leaders to partner with the school in soliciting funds for the development of the school and welfare of the students when led by a proactive and persistent leader like Chhimi Rinzin. In order to inculcate reading habits among the students at a tender age, the students said that they are expected to follow the reading classes every morning, after lunch and during the weekend religiously. All the classrooms have been neatly arranged and carpeted and the students are required to remove their slippers while entering the classes to ensure cleanliness. In order to promote other life skills, the school has also constructed a swimming pool for the students by seeking funds from various sources and is expected to be inaugurated very soon. The parents and community around echoed that the school has been tremendously transformed from the shabby mud structured classrooms to a modern school, which they attributed to the school principal in partnership with the local leaders. 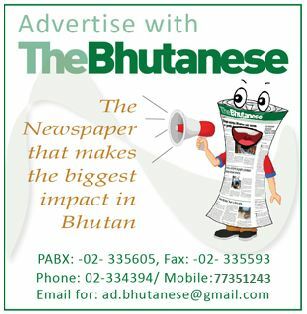 The Bhutanese - Leading the way.